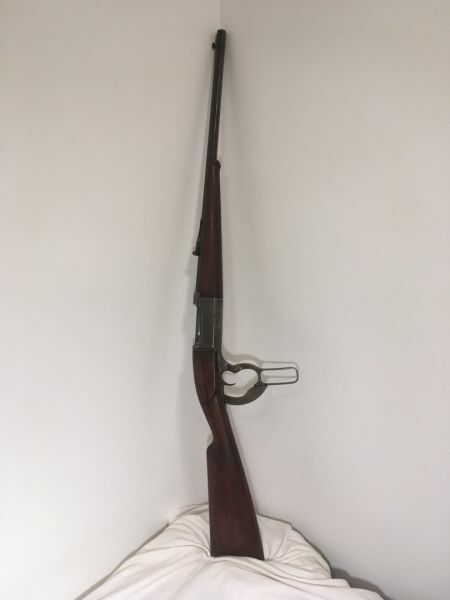 Savage 303 model 1899 lever action with 22" octagonal barrel and crescent buttplate. It has an internal fixed rotary magazine with a brass counter on the side. On the side of the barrel, under the rear sight, it reads "Savage Hi- Pressure Steel, Model 1899"